Whether it’s your first iPhone or the latest of many, shopping for a new model is an exciting time. Before you take the plunge, though, read our six tips and check you’re making the best choice. After all, it’s going to be your personal style statement and constant companion – until the next one. It might sound obvious, but just after Apple announces new iPhones is the ideal time to buy a new iPhone. That’s not the case for all tech products: often you’ll pay over the odds on launch day compared to the discounts retailers will offer later. iPhones, by contrast, barely vary in price, except when they’re rolled over for another year by Apple as a lower-cost alternative. With the launch of the iPhone XS and XR, for example, the iPhone 7 and 8 were reduced by £100. So no matter which iPhone you buy, you’re getting a good deal. Even if you wait for Apple Event day and your preferred iPhone gets discontinued (as happened with the 6s and SE on 12 September 2018), you can still win: retailers will need to clear their last few units, usually with some discounts. Meanwhile, eBay prices will drift downwards to stay competitive. You really can’t lose. And the sooner you buy a brand new iPhone, the longer it’ll be before it feels dated. While most Android phones let you add storage on a microSD card, iPhones never have, so make sure you get enough capacity built in. Fortunately, the latest models start at 64GB, probably enough if you don’t feel the need to have dozens of movies or hundreds of albums on your phone (rather than streamed from the cloud) and you’re happy to keep just the last year or two of your own photos and videos on board, leaving the rest on your Mac at home. If you’re the kind of user who needs 128GB, you probably know it. As for the 256 and 512GB capacities now offered, they’re strictly for creative pros or those with serious content habits. It’s trickier for lighter users to work out if they could get away with 32GB, as offered on the cheapest iPhone 7. If you’re already an iPhone user, go to Settings > General > iPhone Storage and see how much you’re using now, and for what. Wait for the progress wheel at the bottom and you’ll get full details. You can do the maths yourself when you shop around for deals, but unless you’re already tied in to a network contract with an upgrade, consider buying your iPhone outright. Whatever contract you’re looking at, the same carrier will offer a similar SIM-only plan, and it almost always works out cheaper to buy your new phone from Apple and add a pay monthly contract. If you prefer to pay as you go, you’ll have that option too. The difference may be even bigger if you can find an older model refurbished (see below). And many SIM-only plans are on a one-month basis, so you can switch any time. Just make sure your tariff specifically supports iPhone and includes features like tethering (creating a Personal Hotspot to connect non-3G/4G devices) without extra fees, if needed. If you don’t have all the money up front, Apple offers 20 months’ interest-free credit (via Barclays) when you go in person to an Apple Store and consent to a credit check. If your credit score could be a problem, buy your phone for cash and shop around for a SIM-only contract with no credit check. iPhones aren’t among the products that Apple sells refurbished, but others do, including the big phone shops and networks. Read the small print: lower grades of refurb will have scratches, scuffs and chips, but will be fully working, while the highest grade usually means a phone has been returned almost untouched. You’ll get a warranty, and your statutory rights still apply, although your reasonable expectations won’t be quite the same as for brand new. Watch out, though, for networks overpricing refurbished phones on contract. Google for the same model and see what refurbs sell for elsewhere, then compare the contract to a SIM-only tariff. Thinking about a used iPhone? Check that it’s running the latest version of iOS, or can be updated to it (iOS upgrades are free). On Apple’s iOS page, scroll down to find which devices are compatible with the currently featured version (which is either out now or about to appear – iOS 12 at the time of writing). Don’t buy an iPhone that can’t run this, because you’re setting yourself up to find features you need aren’t available or other purchases aren’t compatible. AppleCare+ is an optional extra when you buy an iPhone direct from Apple, and you can also buy it from Apple for a brand new iPhone you bought elsewhere. 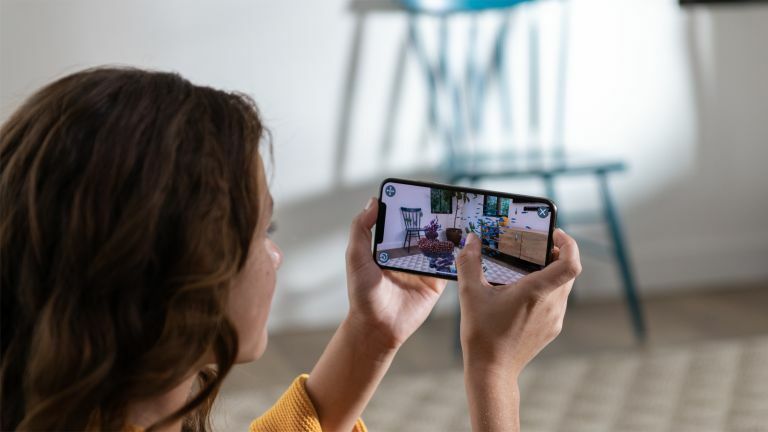 The basic plan costs £199 for iPhone X, XS or XS Max or £149 for other current models, and provides a two-year warranty with tech support via chat or phone. Remember your EU/UK statutory rights already cover you for two years against any defect, and if you have a hardware problem or an issue like getting locked out of your iTunes account, Apple will give you support anyway. You do get accidental damage cover, but only for two incidents, and you’ll still pay an excess of £25 for screen repair or £79 for other damage. Wear and tear, cosmetic damage and fire are excluded, and you’re not covered for theft or loss (an extended Theft and Loss plan is available in the US only). Think carefully, and check any insurance cover you already have, before signing up for AppleCare+.